A young artist from Mumbai makes amazing 3D paintings that simply *pop* out of paper. 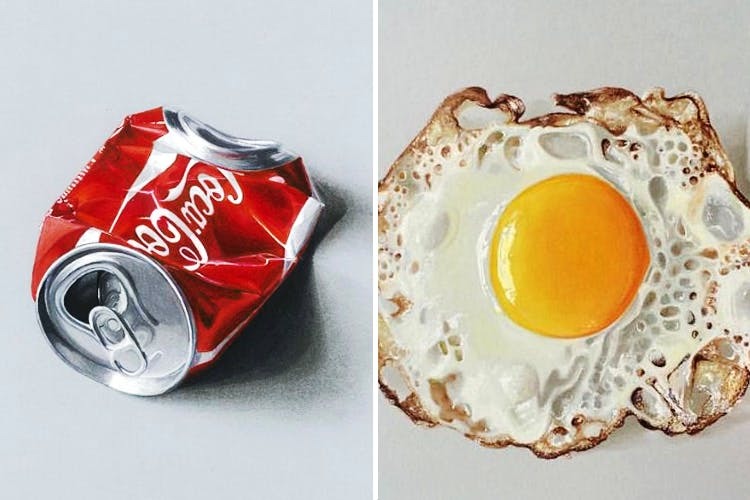 Here’s presenting a crushed coke can, a coffee mug, a shiny phone, sunny side up eggs – all of these items look as though they have simply been placed on top of a sheet of paper, but are actually seamlessly part of the paper. If you’re wondering how that’s possible, meet Sushant Rane – an artist from Mumbai who is adept at making 3D paintings. These are so realistic that they literally quite fool anyone were they not standing right in front of it. This seems nothing short of magical. You can buy this for yourself or a friend from this website here. Follow him on Instagram here to be furthermore awestruck.